Once again, thanks to the folks at Shorts International, the Oscars' short film categories (once the most obscure categories of the awards), are being released for a wide audience. As usual, the films a mixed bag, showcasing filmmakers from around the world, including Germany, Kosovo, Palestine, the UK, and the USA. "Everything will be OK" is what all the adults tells 8 year old Lea, but we know it won't be, it can't be. Alles Wird Gut (Everything Will Be OK) is a film about a little girl whose estranged father attempts to kidnap her after her mother seeks to block him from seeing her. But more than that, it's about the platitudes and lies we tell children in order to gloss over much deeper problems. It's a wrenching reality (and a haunting final shot), as adults continue to try to placate a clearly traumatized Lea, when we know nothing will ever be OK again. Devastating. 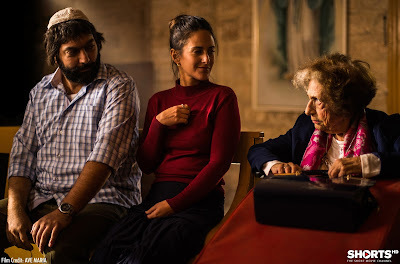 A Jewish family has an accident outside a remote Christian monastery on the eve of Shabbat, where the Jews' refusal to do any work on the Sabbath runs afoul of the nuns' vow of silence. There's a lot of comedy to be mined from this clash of cultures, but unfortunately the film never really mines it. There's a brief spat over who can and can't dial a telephone, but otherwise the film's central conflict is resolved a little too quickly, leaving much comedic territory unexplored. It's a charming little film, but one with a lot more potential than its brief running time can fulfill. 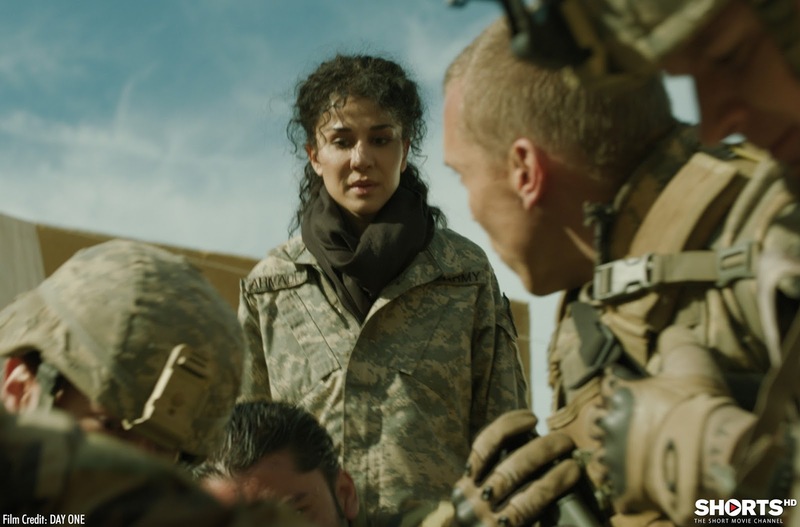 On her first day on the job, an interpreter for the US Army finds herself thrust into an extraordinary situation as the wife of suspected terrorist goes into labor. It's harrowing stuff, but beyond its viscerally shocking situation, what is so impressive about Day One is how simply and elegantly it turns such a gruesome thing into a deeply emotional moment. It moves beyond enemy combatants and finds common humanity in a truly beautiful way. It never feels as inauthentic or manipulative, it's simply a powerful tale of beginnings, both for its main character, and for the young life she brings into a broken world. The best of the 2016 Oscar nominated live action shorts. The requisite "childhood friendship against the backdrop of war" film among the 2016 nominees for Best Live Action Short Film, Shok follows two Albanian boys whose dealings with the Serbian army in Kosovo eventually lead to tragedy. We know where this is heading from the beginning, but this true story feels like something we've seen many times before. It doesn't help that the opening scene basically gives the whole thing away. It's beautifully shot, but also baldly manipulative, leaving little room for subtlety or a chance to really settle into the world of the story. A man whose speech impediment betrays his rich and eloquent inner life is faced with his greatest challenge yet - meeting a romantic interest he has only known online. 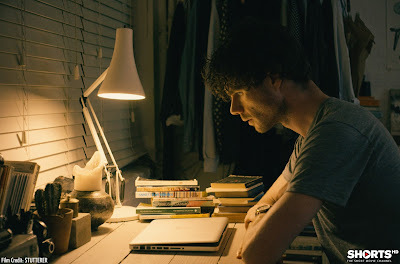 Sweet and endearing without being cloying, Stutterer is a story about connection and shattering appearances that has a strong inner life of its own. A simple beauty.